Eid Holiday Destinations from Doha Under 5 Hours Flying Time. Ramadan Kareem Doha! Ramadan is now upon us, a time for reflection and to practice self-sacrifice. Though I’m not a Muslim, I used to join my colleagues in their fast and I must admit that it is very hard to do so specially since I can’t give up water. I have full respect and admiration to those who are fasting. The self-control they do practice is definitely something to admire about. There’s something that we’re all looking forward to after Ramadan though, it is of course the Eid al Fitr. It is a time to celebrate with family and friends the completion of a month of blessings and joy. While some celebrates it locally, there are a lot of people who prefers to celebrate it outside of the city and travel somewhere with family for a quick holiday break. Of course, us expats enjoy this celebration too and planning ahead of time is probably the best advice I can ever give anyone. As a travel agent who worked in the Middle East for numerous years, we always faced the difficulties of getting a confirmation for clients planning their holiday last-minute. If we do get a confirmation, the prices are going to be ridiculously expensive so it’s practically a lose-lose situation either ways. We can’t blame our clients though as the end of Ramadan entirely depends on the new moon sighting. With the last-minute planning and short days of vacation, we normally suggest a place with less than 5 hours flying time. You do have a lot of options as such. On this blog post, I have rounded up some of the places I normally suggest for a quick Eid Holiday break. I would still advice anyone to plan the holidays ahead of time though since the Eid Holidays are considered a very peak season in the travel industry. Salalah is the second largest city in the Sultanate of Oman after of course its capital, Muscat. It is a famous holiday destination in the region due mainly of the milder climate they have and of course the amazing beachfront resorts . It’s greener and most of the time a lot colder than the rest of the city in this region, however – with the summer heat that we are having these days, I guess it will not be that much of a difference. Still, it’s a great option for a short holiday. Jordan is one of those places which I have been dying to go but never had the chance to as of yet. I’m not really sure why but everytime I plan on visiting Jordan, something always comes up. A trip to Jordan is always a combination of almost every tourist sites that you can possibly see. I have done numerous holiday packages for 5 days to a week here which covers most of the important sites. Petra, the Dead Sea and Jerash are just some of these places. If you are able to get a good tour operator, they can do it for you with a provision of your own vehicle and a driver/guide to give you an overview of this wonderful country. If a combination of a modern city, resort town and easy access to historical sites is what you’re after then Cyprus is for you. To go there, you will take a flight to Larnaca – their capital city and from there you can travel to the numerous beach towns that they have. Paphos is a favorite place of mine to suggest to my clients since they always come back with good reviews about it. Click here for Cyprus’ Visa Policy. Yes, that beach jump shot photo of mine which ultimately became my blog’s logo was taken in Goa, India. I love the very laidback atmosphere of the place and food was absolutely remarkable! Going there without gaining a few pounds is not a real Goan vacation. There are a lot of cheap accommodation options in that beach town as it’s a famous destination for backpackers. They do however offer good resorts as well for people who thinks they’re too old to be backpacking. That probably includes me now. Lol. Click here for India’s Visa Policy. See related blog posts about my trip to Goa here. The only city which sits on the Asian and European continent has piqued my interest for the longest time since I love historical sites and unique architecture which Istanbul is full of. I got an invitation before for a media trip to this fabulous city but I already have something more important planned that same weekend. I am planning to visit this city though this year, hopefully I’d make it this time. Click here for Turkey’s Visa Policy. Among all the destinations given, Maldives is the favorite of many to go to for short holiday breaks such as Eid Holidays. How can it not be? With its pristine beaches, you will be on a holiday-mode as soon as you are in any resort of your choice. I was sent to Maldives for a business trip before and was able to see a lot of resorts in the area. It is one island, one resort so to go from one place to another – we needed to take the boat. It made some of us seasick during that business trip. The best resort I’ve seen (quality and price-wise) is definitely Anantara. We stayed at Anantara Dhigu which is a family-friendly resort however if you wish to have a more private atmosphere, you can opt to stay in Anantara Veli which is what I always recommend for couples traveling together. Maldives offers free visa upon arrival to all nationalities. See related blog posts about my trip to Maldives here. Ah! 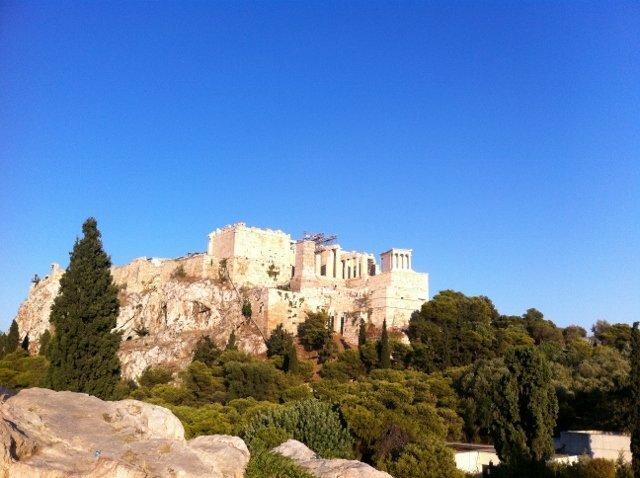 Athens! Do I even need to say the reasons why you should visit this city? The ruins, the history, the architecture, the food and the loveliness of the Greeks aren’t enough for you to visit it? If you need a little bit more convincing, you may want to check out this blog post I made previously which was featured in Visit Greece website: Top 10 Reasons to Visit Greece. See related blog posts about my trip to Athens here. After Maldives, Sri Lanka is the second most popular destination for a short holiday break in this region. It’s cheap, it’s beautiful and it offers a lot of activities. The whole of Sri Lanka is accessible by driving so most of the time, our clients would stay in one area and will explore the other tourist sites from there. 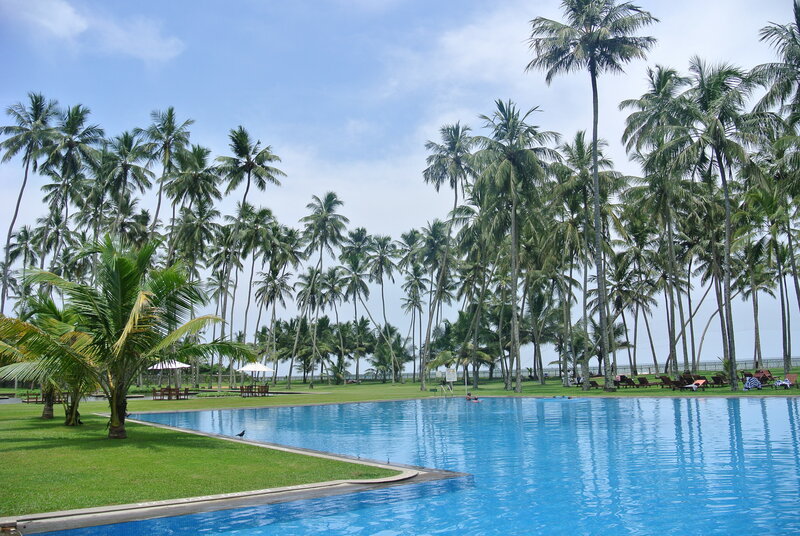 I recommend a stay in Wadduwa, Sri Lanka which is only 1.18hrs by driving away from the capital of Colombo. All nationalities require an electronic visa prior to visiting Sri Lanka which you can apply online. See related blog posts about my trip to Sri Lanka here. Of course you also have the option to visit the nearby GCC cities such as Dubai and Muscat. To make your flights cheaper, you can always opt to take a carrier with a stopover in another city before going to your destination. Stopovers always make a fare a bit cheaper than flying direct. So where are you headed for the Eid Holidays? Images by Zadjali, Dave Lichterman, Thulborn-Chapman, under Creative Commons License. This is a great post! it’s good to know about the options for short holiday destinations. The visa requirements links are also very useful! I bookmarked this page, and I will definitely be checking it before I plan my next holiday! Maldives would be my joice….super beautifull…been there like aby 40 yrs ago..o man – im gettn old’er….